Newark Catholic Vocal Ensemble had the honor of singing the National Anthem at an International Police Convention Wednesday morning at the Hilton at Easton. 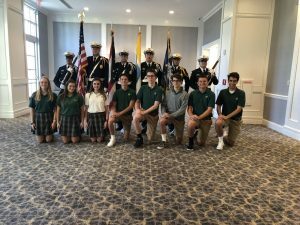 Thank you Paul Ohl for inviting us! 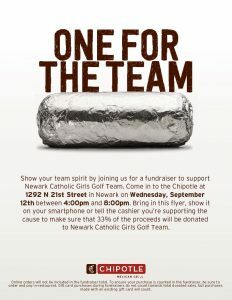 Show your team spirit by joining us for a fundraiser to support Newark Catholic Girls Golf Team. 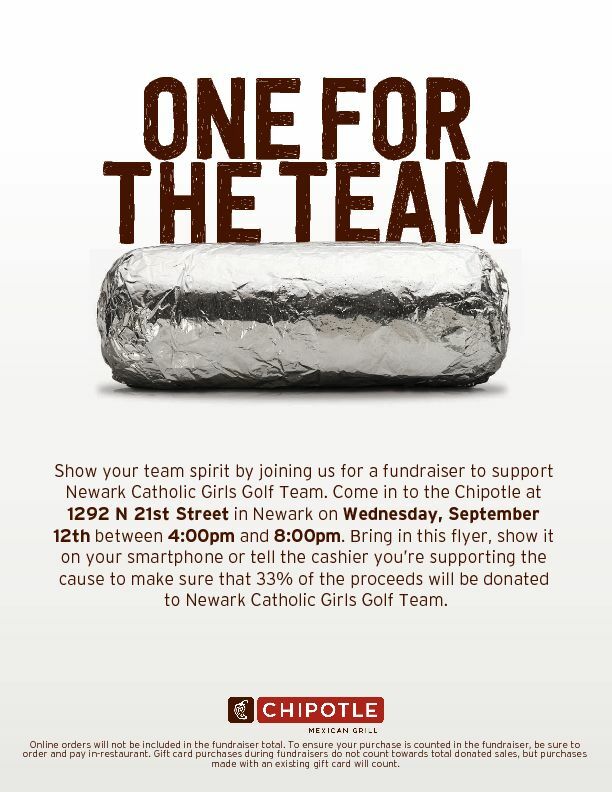 Come into the Chipotle at 1292 N 21st Street in Newark on Wednesday, September 12th between 4:00pm and 8:00pm. Please see the most up-to-date Parent-Student Handbook here. Senior Guidance Night is Monday, September 17, 7-8:30 pm in the cafeteria. We will talk about finishing high school strong, graduation requirements, applying to college, financial aid opportunities, and staying mentally healthy in the midst of senior year stress! 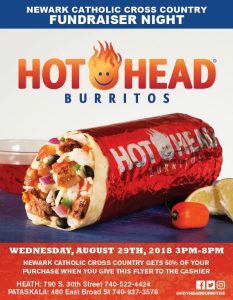 PLEASE put it on your calendar. Many students benefit from attending as well, but it isn’t mandatory. Mrs. Welch will be speaking for the first half of the program, then a financial aid representative from OSUN/COTC will speak about the financial aid process (for all colleges, not just OSU/COTC). This is a night packed with critical information for senior year. We look forward to seeing you! 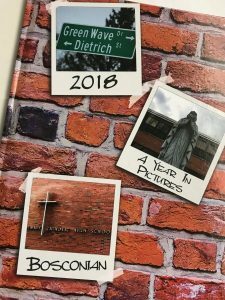 2018 Graduates can pick their yearbooks up at the school office starting next Tuesday, Sept 4. If you have a sibling still at NC, we will send it home with them. 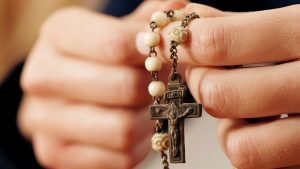 Join us each Thursday at 5:30 p.m. in the St. Catherine of Siena Chapel at Newark Catholic for “Family Rosary Night.” All families are welcome Students, feel free to drop in before/after practice for a decade or even just a brief moment to escape the hectic day.